This week I have been giving you some Christmas decoration and craft ideas. 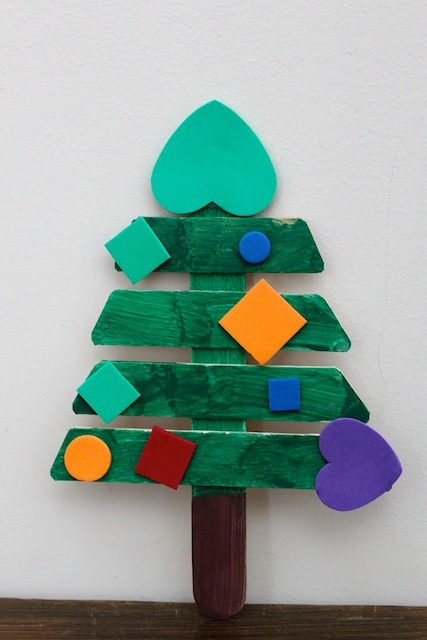 Here is a simple Christmas tree craft for the kids. It is a quick craft to keep them entertained and get into the Christmas spirit. You can also attach a string to it and hang it as an ornament. I also like to play Christmas music while they make the craft. And if you make something inspired by Simply Modern Mom, please upload pictures of it to our Flickr group to show it off to everyone. You may be featured on Simply Modern Mom. 1. Have an adult cut the popsicle sticks. 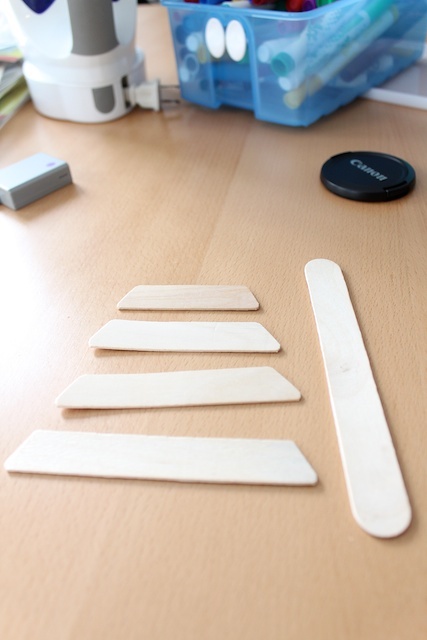 Take 4 popsicle sticks and trim off the two ends at an angle starting with one being shortest to the last of the four sticks being the longest. See picture below for example. 2. 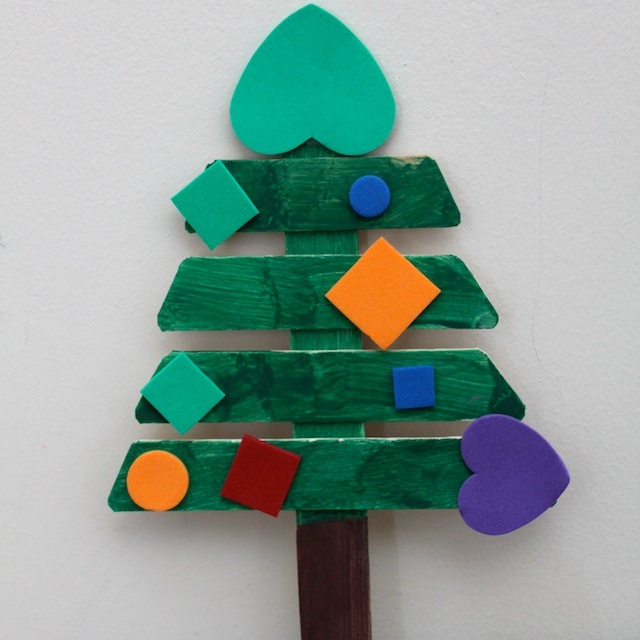 Have the children paint the four cut sticks in green because that’s the tree portion. And then have them paint the uncut stick brown as the trunk of the tree. 3. 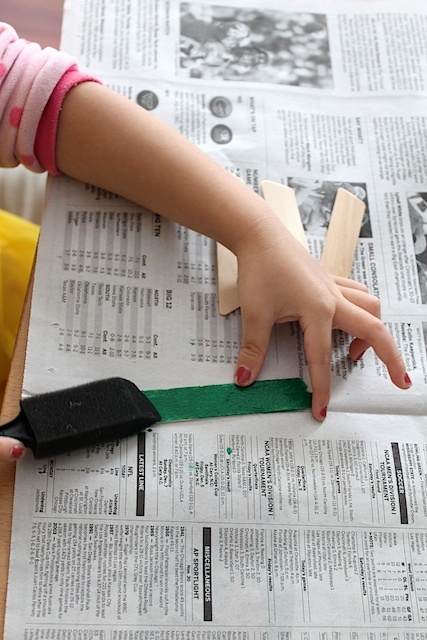 Glue the four green sticks to the brown stick in the order of shortest stick at the top and longest stick on the bottom. Then decorate it with embellishments. If you want, you can attach a string on top to hang as an ornament. And done! » Tell me… What is the Christmas craft that your children brought home from school this year? Fantastic idea for my daycare kids! I already have a huge bucket of the foam shapes. This is perfect, thanks for sharing.